Then we have just the thing for you: A complete playbook to deliver awesome product demos. 99% of people will not buy a vehicle without driving it first. They want to see how it works, assess if it matches their expectations, and solves problems they had with the previous car. The same behavior goes for any other big ticket items – furniture, expensive TVs, pro-level computers …. …customers want to sample products before agreeing to buy them. The situation is no different with software. Your customers want to see how the product works, if it solves their unique problems (without generating any new ones in the process), and how simple or complex it is to use. It’s also an opportunity to get to know you, your company, and assess how reliable it is in providing them with solutions. After all, 71% of customers buy because they like, trust and respect the salesperson they work with. So, sales demos help customers see how it fits their needs, but also help you build a connection with them that might help close the sale. 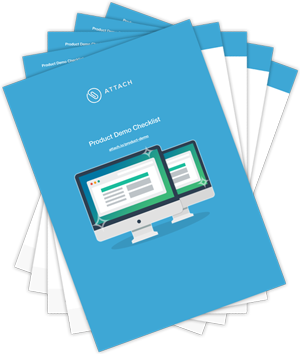 This guide will show you exactly how to prepare and deliver demos that engage prospects and improve your demo to close rate. … never hear from them again. Chances are, you demoed them without properly qualifying first. Not all prospects are ready for a presentation when you meet. Some are only researching their problem. Others might have started investigating potential solutions, but still don’t know what feature set they’d need. And then, not every prospect would match your ideal buyer profile. Even though they seem interested, they probably shouldn’t buy from you. And the only way to figure that out is to prequalify them before the demo. Without these things – the chance of you successfully closing, and the chance of them becoming a successful long-term customer – quickly diminish. Ask questions to help discover their customer profile, their unique needs and pain points, their decision-making process and the competition. 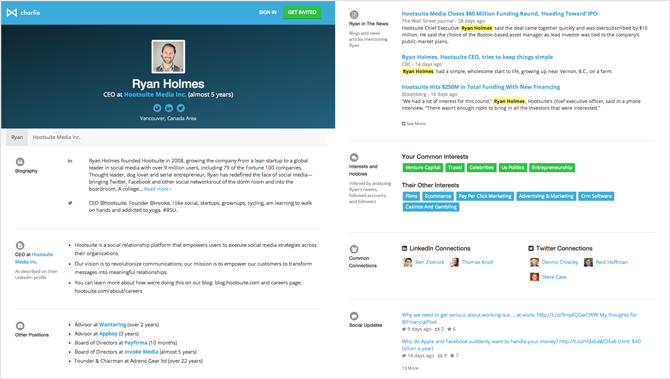 How do they compare against your Ideal Customer Profile? Which buyer persona do they match? Have they looked at something similar in the past? What other products do they have in their toolkit? What are their priorities? Is this a priority for them? How do they make buying decisions on products like yours? Why did they sign up for a demo? How long have they been looking for a new solution? What problems do they hope your product can help you solve? How are they currently dealing with these issues, what are the biggest pain points with that arrangement? What goals do they hope your product is going to help them achieve? Don’t think your job is done just by checking off these questions. Use them as a conversation starter for you to dig down into their answers and find the underlying reasons or motives. The goal is to uncover information that will help you perform a better demo. Not every prospect expects or wants a demo. Some prefer to go it alone and learn at their own pace. Others might prefer not to interact with salespeople. But if they’re a fit, it’s in your best interest to give them a demo to increase the likelihood that they’ll become a paying customer. It’s not enough to invite prospects to a demo, it’s not enough to just offer them a demo or ask them to attend. You actually have to deliver a compelling pitch and apply salesmanship so they’ll commit to joining your demo. Things happen, prospects are busy and a demo booked a week ago can quickly be forgotten. It’s not their job to remember your demo, it’s your job to make sure they get there. Once you’ve booked the meeting, send through a calendar invite, ideally when you’re still on the call so you can check that they receive and confirm it. Then schedule your calendar to email them with a reminder a day before the booked date or the morning of, confirming their attendance. This may sound obvious, but 50% of reps don’t send confirmation emails after setting an appointment – don’t be one of them. You already know answers to some of these questions from the pre-qualifying process. To find out about the others, research the person you’re meeting and their company. PRO TIP: Use the free app Charlie to handle all of this for you. Charlie combs through 100s of sources and automatically sends you a one‐pager on everyone you’re going to meet with, before you see them. With all the information and research at hand, you’re ready to start the meeting. So fire up your screen sharing tool, send over the link and go for it, right? The prospect shouldn’t see your desktop notifications, previews of incoming emails, Facebook messages, or any other notifications popping on the screen while you talk. Two, it’s highly distracting – for both of you. Three, it’s embarrassing (depending on the notification). Don’t worry, you can turn them back on after by repeating Alt + Click again later. Close all open applications apart from those you need for the demo. Hide the Bookmarks bar, hide browser add-on icons. The prospect doesn’t have to know what sites you visit the most. You should have a preset demo account setup with dummy data that you can always reset and then customize to each prospect. Your demo content can literally make or break the deal. Your prospects want to know that your product is built for them, and what it might look in their hands. This is your chance to show them the what a successful user of your app looks like, so make sure your content looks the part. Spend 5 – 10 minutes customizing your app to your prospect’s needs – This can be adding some of their information, their pictures, their customers their industry – whatever shows that it’s meant for them. Death by spinner – make sure you have the pages loaded up that you’ll need to present. There’s nothing worse than trying to stall for time while the page load is stalling, 5 seconds quickly feels like 5 minutes, and your prospect starts losing trust. Lastly, enter Fullscreen Mode so that nothing but your demo is front and center. 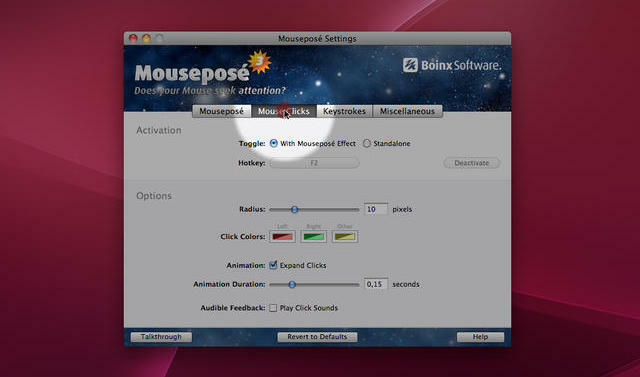 Note: Some screen sharing tools let you share specific windows, instead of your entire desktop, which is preferable. But if you need to switch between windows or applications during your demo, you’ll have to share your entire desktop. 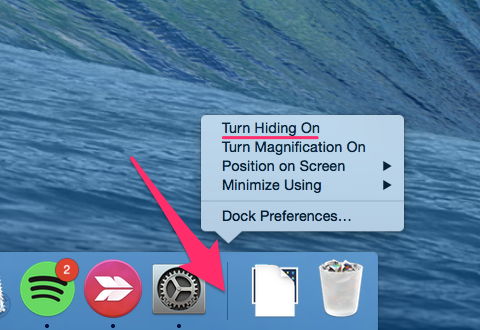 PRO TIP: If you’re on Mac, Bartender (free trial) lets your organize and hide your menubar apps. HiddenMe (free) hides your desktop icons in one click. With these 2 tools your screen will look cleaner than ever. If you keep your demo succinct and to the point, you should be finished within 30 minutes. Any longer than that and they’ll start to lose interest and might end up doing more harm than good. Welcome your guests and confirm who is attending. Even though you scheduled to meet only with one person, other people might have joined the demo too. The person’s manager, someone from IT or even the CEO may have decided to attend too. Knowing who else is present will help you consider their angle and motivators, and tailor the demo to match. Confirm your meeting timeframe and ask if there are any hard stops beforehand. Even if you’ve booked between 3:30 and 4pm, your main stakeholder might have another meeting on the other side of town at 4pm, so they really have to leave at 3:50. You need to know this and adjust the agenda, otherwise they’ll leave halfway through your demo. Demos conducted without discovery win 73% less often. So, recap any previous discussions, pain points and problems they mentioned and then transition into discovery. Running a good discovery is key to a good demo. It can reveal their key pain points, what features to show and what to skip, and even the best way to close the deal. We always start by asking the client about their needs; then we structure the demo to highlight key features based on those needs. They love that – instead of listening to a boring preprepared 30 minute long presentation they get a customized demo that actually addresses their problems. What benefits do they hope your product will bring them? What problems do they hope your product will help them solve? What do they like most about their current approach? What do they dislike most about their current approach? Have they ever looked at something similar? Is there something in particular they really want to you to cover? Demo’s are sales tools, not training tools. This is not the time to show them a step-by-step best practice walkthrough on using your app. It’s the time to give the Steve Jobs keynote presentation that makes them go “I want that”. Don’t focus on the details, you’re still selling here. Focus on moving the sales process forward. Show them what they can accomplish. Don’t show them how your features work, show them how it can change their life. Highlight their world before your product, and their world after it. Your discovery process should uncover their ‘before’ state – what they’re doing today that they aren’t happy about, their existing pain points, and their goals. Talk about the pain of their before state, and then channel it into their desired ‘after’ state – where your product is their savior. Reminding prospects of where they aremakes where they could be much more desirable. Present the product from their perspective. Put your product in context. Instead of running through every feature, paint a picture of how it would work for the prospect. A product demonstration should never be a tour of a product’s features and functions. Instead, it should tell the customer’s story, with the product playing a key role. Don’t reduce the prospect’s role to ‘audience’. It should be a two-way interaction, so get them involved in the demo. Even though they might not be able to use it yet, make sure they experience how it would be if they used it. Ask them to give you examples of data to input. Inquire about their operations and perform actions matching what they say. A demonstration should be a customised case study to meet their needs, only showing the features you need to solve their pain. The likelihood of the sale diminishes with every irrelevant feature shown! Don’t expect them to connect the dots between their problems and your features. Now that you’ve done an awesome discovery, use this information to customize your demo. Research shows, demo’s that tie back specific pain points and articulate the value of the solution are 35% more likely to result in closed deals. You need to match up what you show them with their specific pain points, verbalize that connection, and get them to articulate it back to you. Manage the energy and their attention. Did you know: The average human’s attention span is approximately 10 minutes… And that’s only if they’re interested in the topic. And so, the further you go into the presentation, the less attention the prospect will pay to you. Hook them in with a strong starting message. Show a striking statistic. Offer a powerful insight. Or ask them a question that would make them stop and think before giving the answer. Follow with the most important features / benefits. Start presenting features or benefits relating to their main pain points right after the hook. And only after you’ve covered those, move to other features you believe they should know about too. Reset their attention every couple of minutes. Successful public speakers know that to keep the audience listening, they have to reset their attention from time to time. 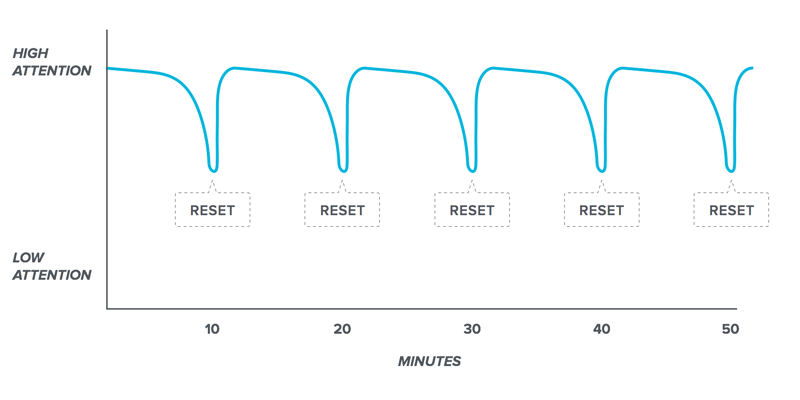 But since you’re only delivering a 15 minutes’ presentation, include one or two reset moments every few minutes. Tell a story. Share a case study, or reveal how other customers made the leap and the results they got. Say something humorous. Or include an out of place slide that lightens the mood. Offer a striking static. Make it relate to their company, market or situation. Ask a question. Get prospects to take active part in the presentation. If it ends with uncertainty on what happens next or a “maybe” – you’ve fallen short. When you get a “maybe” you’re letting your prospect off the hook for making a decision that can benefit their business, while also losing valuable time you could be spending with a prospect who will give you a decision. Hopefully this reveals any unanswered questions to get you over the line. We spend 5 minutes preparing unique closing objections and answers for each client. This helps us push through their objections at the critical phase of the call, and close them right then and there. Being unprepared to tackle the objections for each client is an absolute no-no in modern selling. Keep on going until you’ve covered all steps until they will be ready to make a decision. Note the steps and dates down as you’ll send these through later as the mutually agreed agenda. They’ll be more than happy to hear you’ll do the meeting summary for them so they have notes to refer back to later, and it sets the stage for a sales process to refer back to later if any issues arise. Prospects will expect you to follow up with them in one way or another. If you promised to deliver additional materials or information, they’ll wait for those too. Include any information you agreed to submit – product specifications, pricing sheet, case studies. Hint: use Attach to also track their engagement with those documents. Act while everything is still fresh in the prospect’s memory. If you had follow up tasks you had to complete, do them immediately. If there were any questions you couldn’t ask during the demo, find the answer and send it over. If this is to be the start of your relationship, this is your chance to gain their trust and show that you’re a partner who delivers on your promises. Thanks to the law or reciprocity, they will feel obliged to do the same. Work towards completing the steps in the agenda, increasing the level of communication at every step towards the close. What if there’s still no response? Regardless of your initial follow up, you might still not get any decision. In such case, keep following up. Send the prospect follow up emails every couple of days or weeks. The general rule is that you shouldn’t email the prospect too often. Once a week or a fortnight should be enough. 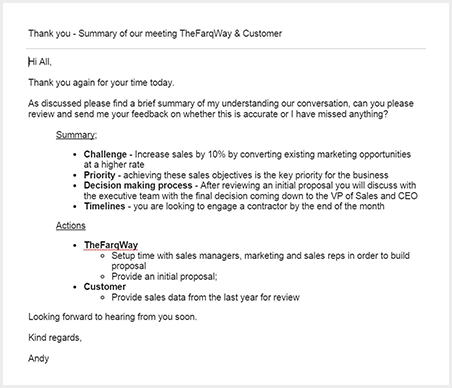 Here are a couple of additional tips for engaging and valuable follow up. Considering that demo’s have the second biggest positive impact on a sale, a solid demo playbook is a must have in your sales process. Take this guide, turn it into your own and start crushing your demos.